Sabbath Ends: 5:28 p.m. NYC E.S.T. 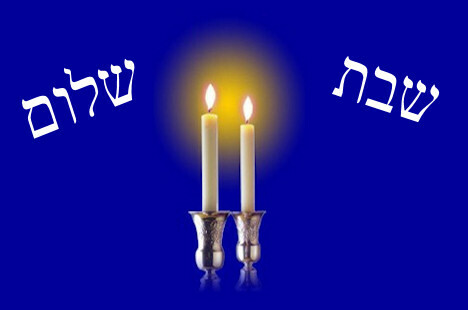 Sabbath Ends: Rabbenu Tam 5:55 p.m. NYC E.S.T. Earliest time for Tallis and Tefillin: 6:25 a.m. NYC E.S.T. Sunrise: 7:19 a.m. NYC E.S.T. Latest Kerias Shema: 9:40 a.m. NYC E.S.T. Sunset: 4:42 p.m. NYC E.S.T. This Shabbos is Shabbos Mevorchim, we bless the new month of Shevat, we do not say Av Harachamim or recite Keyl Moleh Rachamim. This coming Monday is Rosh Chodesh Shevat, one day. The molad is Sunday morning, 13 minutes, 14 chalakim (a chelek is 1/18 of a minute) after 11:00 a.m. (in Jerusalem). Sunday evening: At Maariv we add Ya’aleh VeYavo. However, if one forgot to include Ya’aleh VeYavo (at Maariv only) one does not repeat (Shulchan Aruch, Orach Chayyim 422:1, based on Berachos 30b, which explains that this is due to the fact that we do not sanctify the month at night). Following the Shemoneh Esreh, the chazzan recites Kaddish Tiskabbel followed by Aleinu and Kaddish Yasom. Monday morning: Shacharis with inclusion of Ya’aleh VeYavo in the Shemoneh Esreh,half Hallel, Kaddish Tiskabbel. We take out one Sefer Torah from the Ark.. We read in Parashas Pinchas (Bamidbar 28:1-15), we call four Aliyos (Kohen, Levi, Yisrael, Yisrael), the Ba’al Keriah recites half Kaddish. We return the Torah to the Ark; Ashrei, U’va LeTziyyon – we delete Lamenatze’ach, the chazzan recites half Kaddish; all then remove their tefillin. Musaf of Rosh Chodesh, followed by chazzan’s repetition and Kaddish Tiskabbel, Aleinu, Shir Shel Yom, Borchi Nafshi and their respective Kaddish recitals (for mourners). Nusach Sefarad say Shir Shel Yom and Borchi Nafshi after Hallel. Before Aleinu they add Ein K’Elokeinu with Kaddish DeRabbanan. Birkas Hamazon: In the Grace after Meals we add Ya’aleh VeYavo as well as mention of Rosh Chodesh in Beracha Acharona (Me’ein Shalosh) at all times. Kiddush Levana at first opportunity (we usually wait until Motza’ei Shabbos). Previous articlePlagues, Snakes, and Drivers Ed.